There are roughly 12 million cars on the road in the state of New York. Of those 12 million cars, nearly 8.5 million are condensed inside New York City. This doesn’t include the 50+ million visitors to the city every year from out of the state (The record is 59.7 million set in 2015). If there was ever a time to take advantage of green driver state incentives in New York, that time is now. As a resident of New York, you can play a vital role in keeping our state beautiful and pollution-free. By being a green driver, you can take advantage of numerous incentives that sweeten the deal and create a win-win for everyone. These green driver incentives may make you think twice about what you drive. If you make the decision to drive an electric car, purchase a newer vehicle, or operate a diesel-powered vehicle, the one place you won’t be going this year is to the emissions testing center. You can pocket your $25, and avoid long lines and the anxiety you feel when it’s your turn. Green drivers in New York City can now be given the green light to legally drive in the high-occupancy vehicle (HOV) lanes via the Clean Pass Program. To qualify for a clean pass, your vehicle must have an EPA fuel economy rating of at least 45 MPG highway or city. If you drive a car that releases minimal emissions according to the California Super Ultra Low Emission Vehicle (SULEV) emissions guidelines, you can also qualify for the Clean Pass Program. If you have a Clean Pass sticker attached to your car you drive on the LEI eastbound and westbound with unlimited passengers in your vehicle. Hybrids get an EPA fuel economy rating of 34-60 MPG on the highway and in New York City. They are far more environmentally friendly than fuel engines. For this reason, hybrid owners may get up to a 10% discount off of their EZ Pass. The hybrid must meet or exceed the SULEV emissions standards and have an EPA economy rating of 45 MPG. If you drive an electric vehicle, hybrid, diesel engine or another type of green vehicle, you’ll want to contact your insurance provider to see if you get a discount on your insurance premiums. Other discounts you can seek out are alternative fuel, high-economy cars, and pay-as-you-drive discounts. 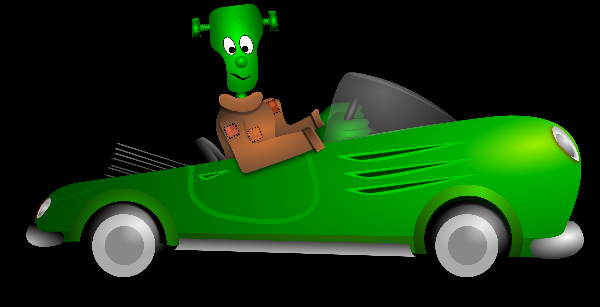 If your current auto insurance driver does not reward you for driving an eco-friendly economical car, then can your insurance and find a company that will. Insurance companies should provide their own set of incentives for environmentally responsible driving. New York’s finest – green drivers, that is – get tax breaks on alternative fuels and modern environmentally friendly autos. The state of New York allows a sales tax exemption for drivers who purchase E85 gasoline, compressed natural gas, hydrogen, CNG conversion gas, and biofuel. If you’re wondering about biodiesel mixtures, you may want to contact the city or county in which you live. Newer fuel efficient vehicles may also receive federal tax credits for electric cars, hybrids, plug-in hybrids, diesel cars, and alternative fuel vehicles. Over the past few years, the auto industry has made it possible for middle-class families to afford electric vehicles and hybrids. Leading automakers like Chevy, Toyota, Ford, Honda, and Nissan are now rolling out new EVs and Plug-ins that start at $25,000. Many of these cars come with hefty tax breaks and rebates that bring the price down even further. Now is the time to take advantages of all the incentives available to you. Keep New York Clean!